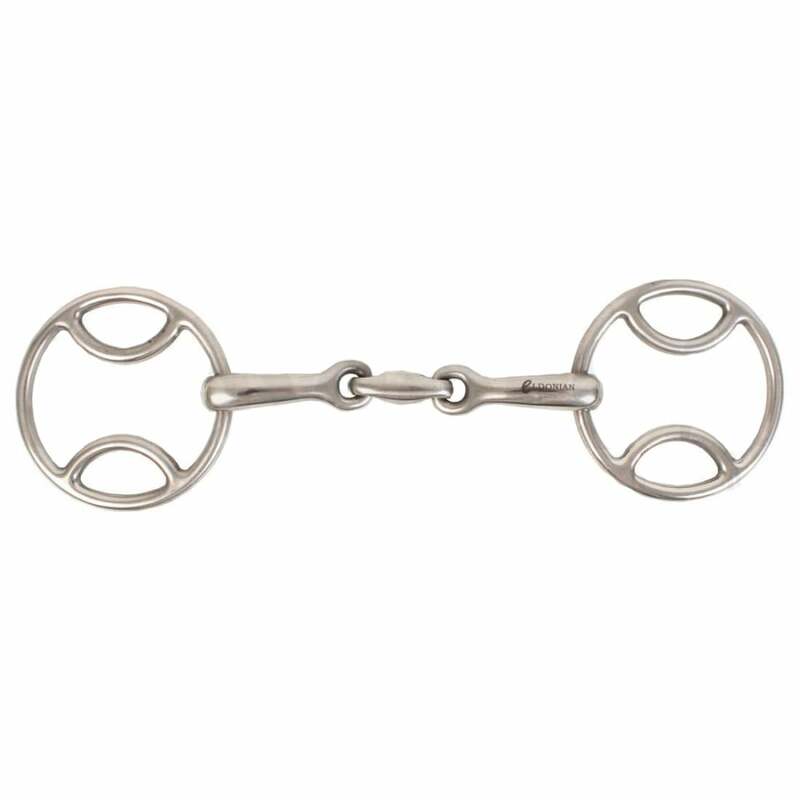 The Eldonian Loop Ring Snaffle Bit with Lozenge is a highly polished, stainless steel bit that offers additional control. Loop ring bits are also known as Wilkie Bits and are particularly popular with ponies requiring extra brakes! This bit has a similar action to a continental gag by utilising pressure on the poll but to a milder degree and with a neater cheek. The lozenge centre forms a truer contact over the tongue by eliminating protruding pressure points ensuring pressure is evenly distributed over the tongue and bars.